Mother nature’s art, held together by a little traditional woodworking. The entire bed together, with its new mattress. Walnut and monkeypod bed frame. Incredible Hawaiian monkeypod slab with plenty of walnut dutchmen holding it together. Detail of the leg and footboard construction. We went for a clean midcentury look with the tapered legs. This is probably our favorite bed build so far. It is solid monkeypod, showing off a natural edge on all three visible edges of the platform. It also has three drawers on each side, granting plenty of storage underneath. Bookmatched drawer fronts with continuous grain and low profile copper pulls. Drawers run on soft close glides. Walnut and monkeypod headboard. Custom designed by the client! Red oak bed frame. Two large storage drawers on each side. Floating sapele headboard with integrated side table shelves. Mounted on the wall for a simple, clean look. 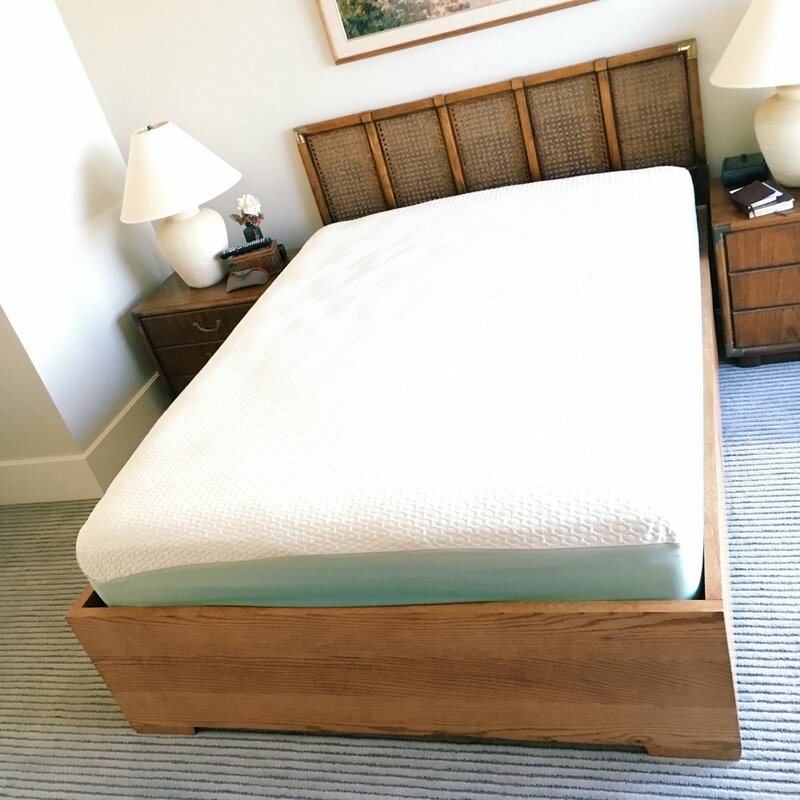 The headboard and footboard on this bed are made of fir salvaged from Waimanalo Beach. The wild hole structure was caused by clams that dug through the wood while it was in the water. Walnut frame material creates a nice contrast in color. Blocky whitewashed ash bed. Two identical beds were made for a rental apartment.